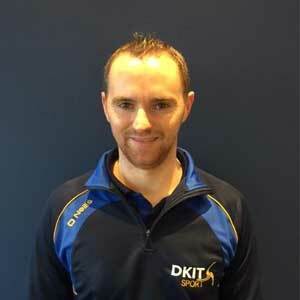 DKIT Sport is operated by Holohan Leisure Group and has over 35 years’ experience in the leisure industry. Our vision is to play a key role in improving the health and wellbeing of our communities. Our highly qualified, award winning team are here to show you the ropes and motivate you every step of the way. Pop in and chat to a member of our team today. 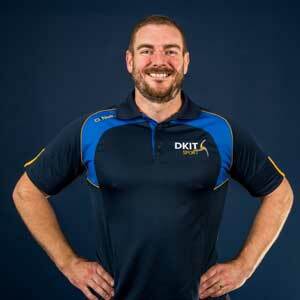 About me: I qualified in sport & leisure management and started my career as a gym instructor. From there I gained vast experience in fitness and added more fitness & leisure qualifications to keep abreast with an ever changing sector. I work for Holohan Leisure since 2006 & from there I followed the management path from a young age while keeping my focus still on the gym floor and teaching classes. I studied HR and came into senior management in 2013 and have managed two Holohan sites in Drogheda & Donegal. I play ladies GAA and I have captained my team to past success. I like to run and have completed three Dublin city marathons. 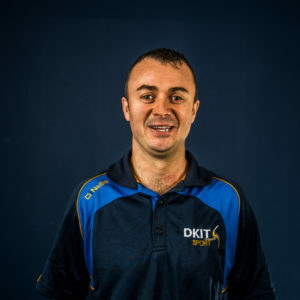 About me: After obtaining my leisure management degree in 2003 I have worked in the fitness and leisure industry since then, mostly in management. I am a qualified fitness instructor along with Cycling, TRX, Step Aerobics and Body Pump. I enjoy helping people achieve results. I love working with the public and getting to know our customers here in DKIT Sport. I am an active member in my local GAA club where I play. About me: I have worked for the Holohan Group since 2012. I am qualified in fitness and aquatics. I studied youth soccer development and gym instruction. I love football and I currently play for UCD waves. My best achievement was when we reached the FAI Ladies final and I got to play in the Aviva Stadium. I also have played County GAA with Meath and I play with my club in Co. Meath. 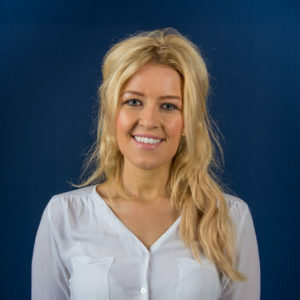 About me: I have worked for the Holohan Group since 2008 and developed an interest in health and fitness which progressed to a passion to promote, educate and motivate others. My love is strength training and over the last two years I set myself a goal of increasing my muscle mass and more recently my strength. 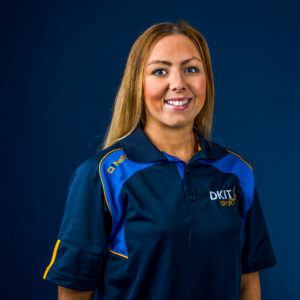 I am a qualified fitness instructor and Personal Trainer along with TRX, Step, Cycling, Fitness Pilates, Kettlebells, Pre & Post Natal Exercises. About me: I qualified as a fitness instructor with NCEF in 2006. My sport interests are playing soccer and running. I enjoy working in DKIT Sport because the facility is fantastic with some of the best equipment in the country. I am also qualified in Reebok Spin Advance Strap Training (TRX), OLF Move-it train (Ushomi). 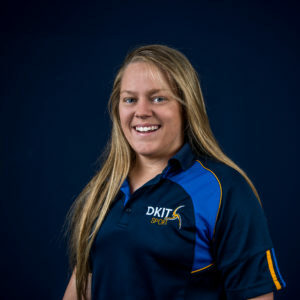 I am also a qualified Neuromuscular Sports Massage Therapist since 2010. About me: I work in the fitness industry since 2004 and I love it! I am a qualified gym instructor, personal trainer as well as qualified in Kettlebells, Boxercise, Cycling and Suspension Training. I have just completed my studies in Sports Strength and Sports Conditioning. About me: I first started working in the fitness industry in 1997 and worked for years as an instructor, personal trainer and supplement advisor before leaving to pursue other careers. I returned a few years ago and absolutely love it. I believe my time away has given me a unique insight; as I was that out of shape person returning to training after years of absence. I never lost my love for bodybuilding and have since completed in the 2014 national, natural bodybuilding finals placing second in my category and am looking forward to competing for years to come. I love pushing myself and keeping up to date with the latest research in training and nutrition and I am a big believer in training smarter and love helping people push through their limits. About me: I have played football from a young age and always very active, I decided to pursue a career in fitness. 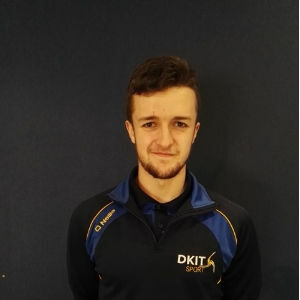 I am currently studying health and physical activity in DKIT and hope to greatly improve my knowledge of all factors of fitness. I completed my gym instructor qualification along with Circuit training and TRX courses and have a massive passion for training, fitness and learning. Interests or Hobbies: Does food count as an interest? Football and food. About me: I’ve just started working in the fitness industry this year having previously been in retail management in Life Style Sports. A frequent gym goer, I’ve always had an interest in health and fitness. I started to develop a true passion for it as a result of working in Life Style Sports. It was there that I began to notice my keen interest in fitness. I participated in 5k and 10k runs as well as taking part in the Run In The Dark event which takes place in Dublin every year. I’d also learned a lot about running and fitness apparel and footwear which made my interest develop even more. Favourite Training Style: HIIT, Tabata and Circuit Training. Interests or Hobbies: Include reading and watching films. Thrillers, horrors, suspense films and comedies are my favourites as well as the good old love stories! Does travel count as a hobby? I have wanderlust and love going abroad! My goal is to tick as many places off my travel bucket list as possible! New York, Hong Kong and Tenerife are my favourite places so far! About me: In my younger years I played a lot of GAA and soccer. As I got older I became more interested in weight training and my interest in gym training grew quickly. In 2017 I received my gym instruction and personal training qualifications. 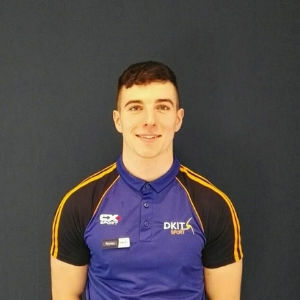 I completed work placement for college here in Dkit Sport in 2017 and knew that this was the industry that I wanted to get into. 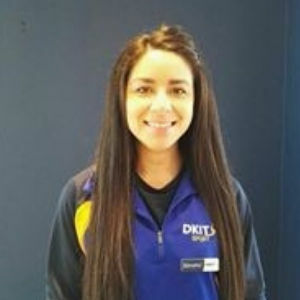 I then began working here as a gym instructor in September 2018. Favourite Training Style: Power and strength training. I love training legs and doing heavy squats. Favourite Classes: H40 and Spin. Interests or Hobbies: Outside of the gym I like to watch netflix or comedies like Happy Gilmore. About me: I played every sport that was available when I was younger from rugby, Gaelic, football, boxing to even badminton at one stage. Decided boxing was the one that I liked the best and went with that for 4 years until college started when I stopped competing. I started with the gym all because it came free with college to be honest and have only been training since January but absolutely love it! I would consider myself a team player but love the aspect of the gym where you’re responsible for your own training and nutrition and it really is all up to you. 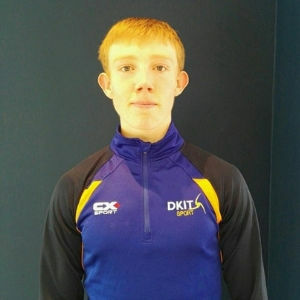 Check out our DKIT Sport YouTube Channel which features a variety of videos!